But what’s that lurking in the plastic foliage? 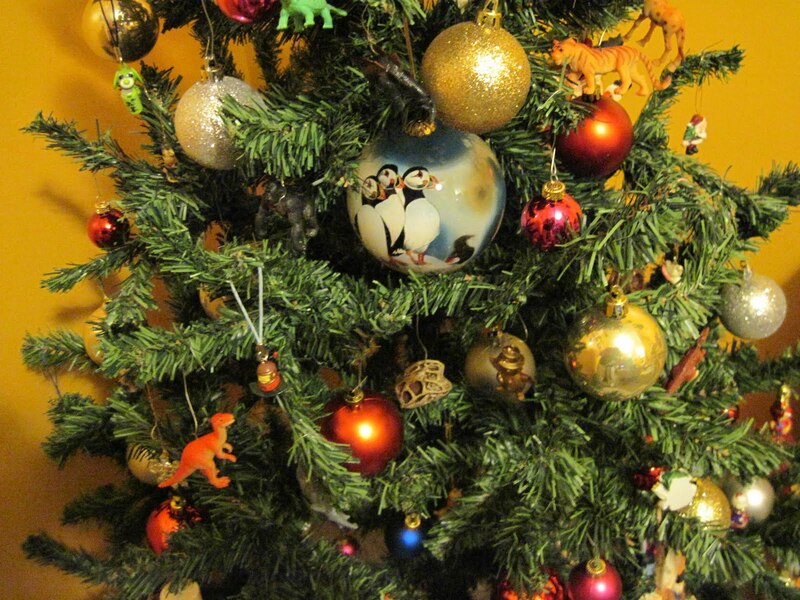 Why, it’s a tree composed of 80% small plastic dinosaur ornaments! How lovely! 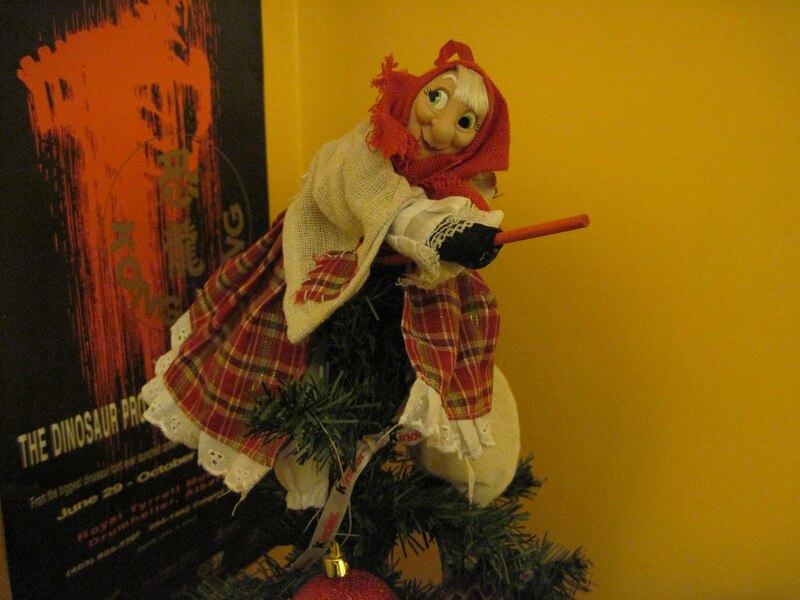 You may wonder why a festive witch adorns the top of the tree. In Italy, Santa Claus was not really a big deal until after World War II – before then, Christmas gifts were given not on Christmas Day, but on the Epiphany, and were delivered by La Befana. Last Christmas I got my very own Christmas Witch complete with sack full of delicious candy. Pete and I have been having a lot of fun transforming dollar store plastic animals and dinosaurs into Christmas ornaments. 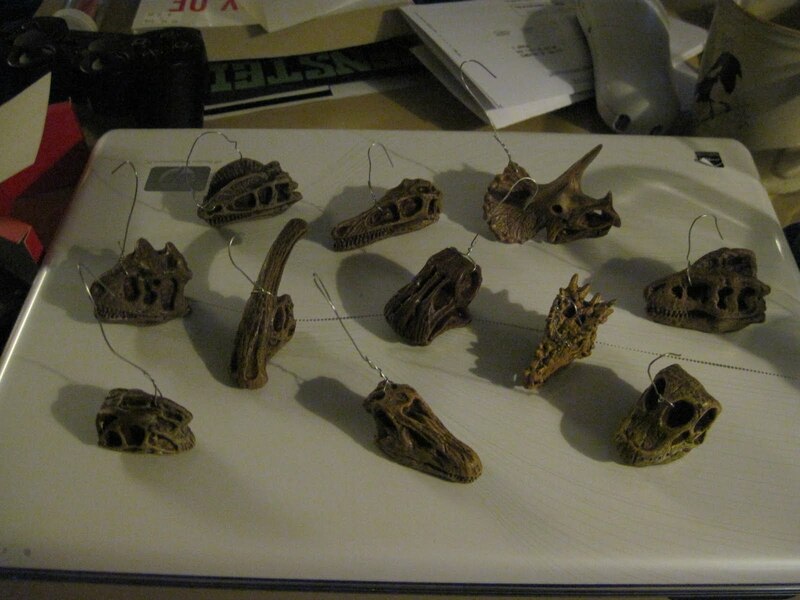 I also had a great set of really cool dinosaur skulls from a Safari Toob, which turned into AWESOME decorations. The set included traditional Christmas favourites such as Triceratops, Tyrannosaurus, Diplodocus, Brachiosaurus, Velociraptor and Parasaurolophus, the slightly more obscure Carnotaurus, Dilophosaurus, and Oviraptor, and the newcomers Nigersaurus and Dracorex! Isn’t that neat? 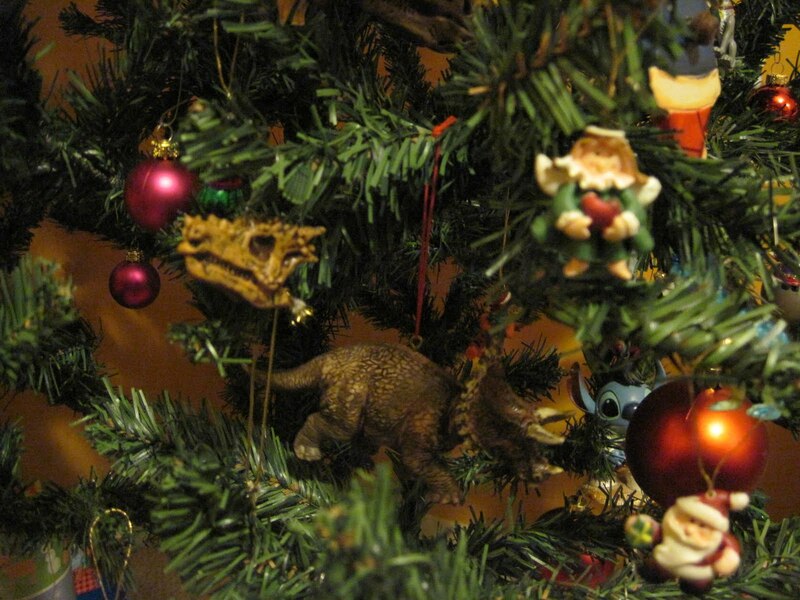 Are you getting festive with dinosaurs this year? ***and yes, I realize it’s pretty early for a tree. But we had these awesome ornaments, and we were excited, and besides, why not? ← Another new Korean dinosaur! I'm impressed by the quantity and quality of dinosaur replicas and kits in our local hobby store. The detail is way better than when I was a kid. I am impressed with the Christmas tree! You could enter it into “The Most Unique Tree Decorations” category and I am sure that you would win. 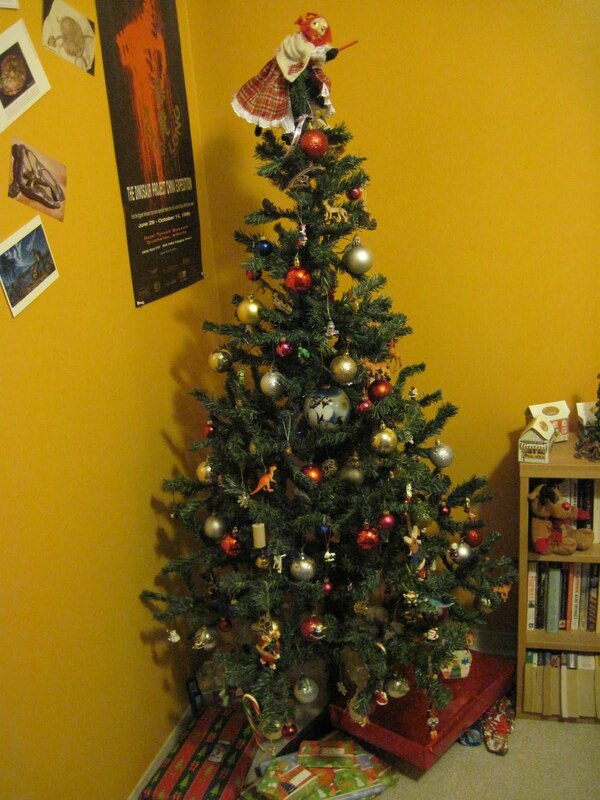 What a great ides of having a “PalaeoTree” for the holiday season. Also the Italian Witch is a great touch!